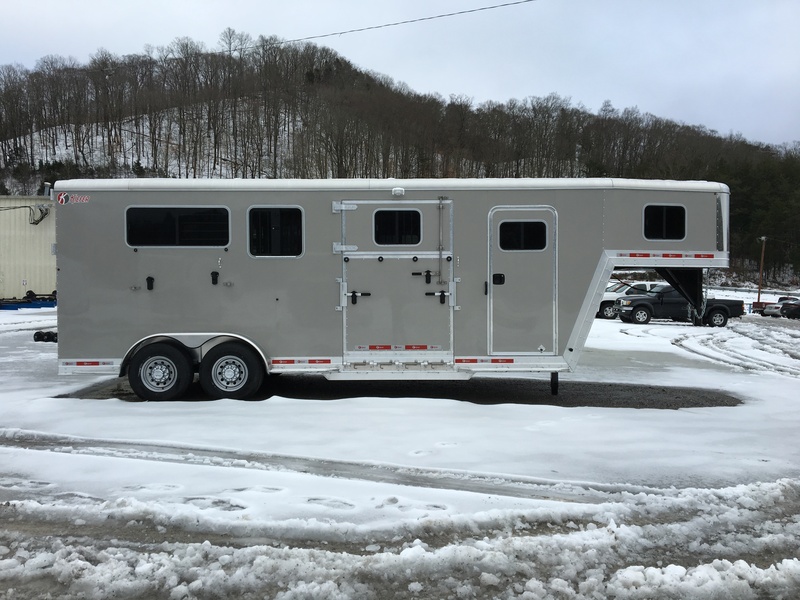 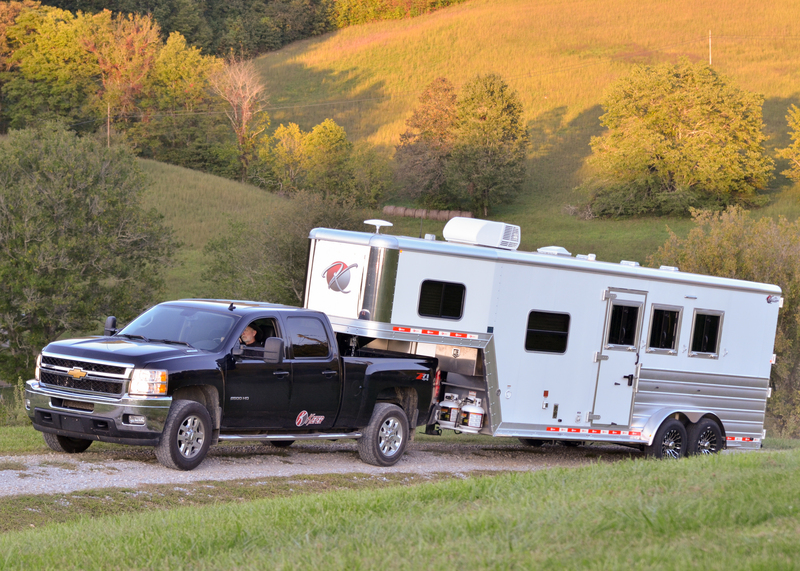 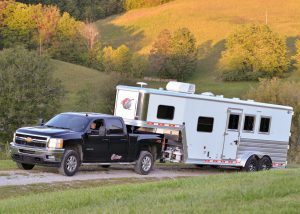 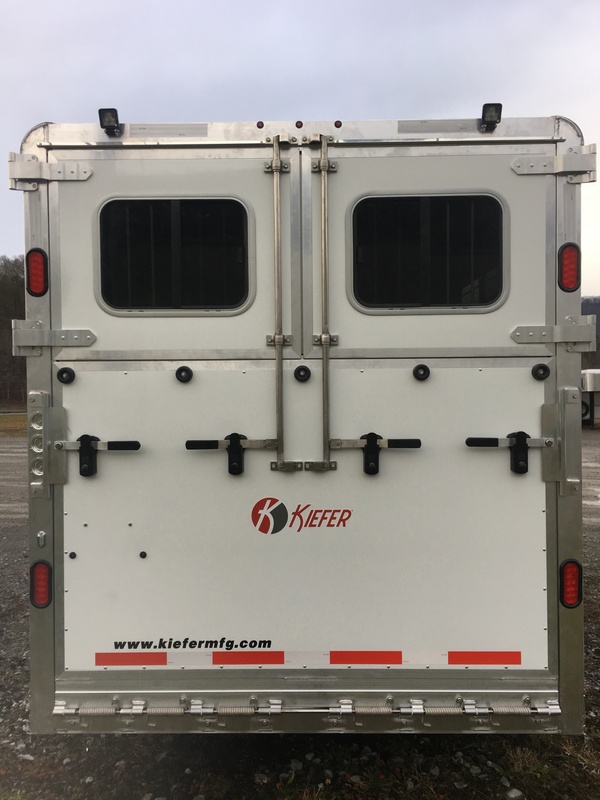 Kiefer Manufacturing horse trailers and trailers with living quarters are built with the user and their horses in mind. This provides proven performance and features that not only fit your individual needs, but the need for a safe and secure environment for your precious cargo. 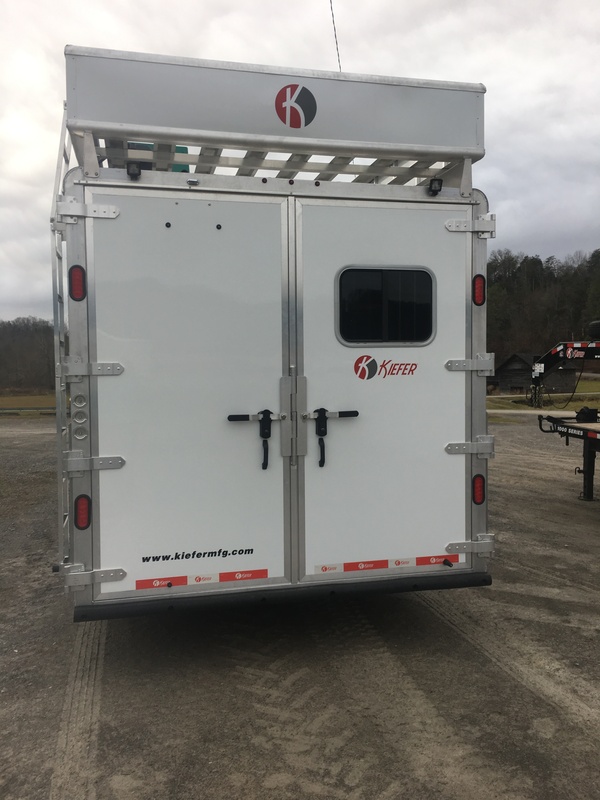 Offered in 2, 3 or 4 horse models, the Kiefer Slant Load all-aluminum trailers feature a smooth aluminum exterior, aluminum roof, aluminum floor. 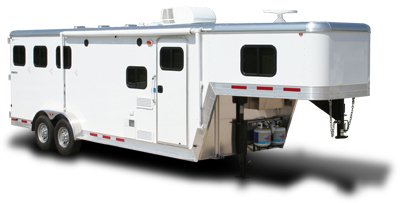 The Kiefer no-leak roof design with special aluminum extrusions channels water away from the trailer interior. 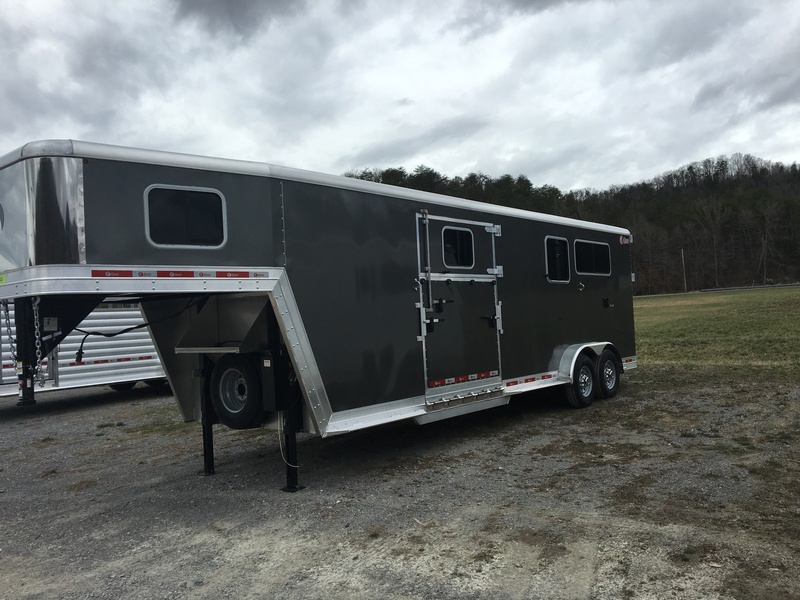 This is an exceptionally built trailer with a great heavy duty structure and lots of attention to detail. 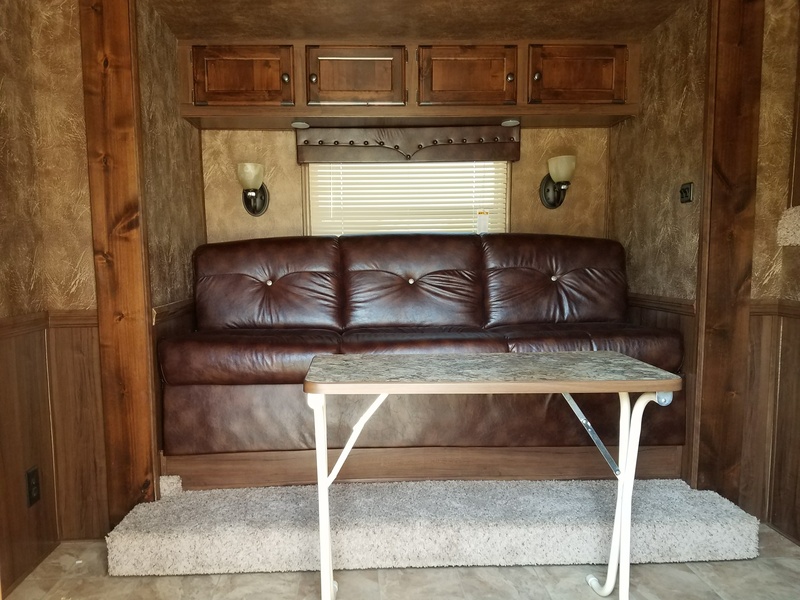 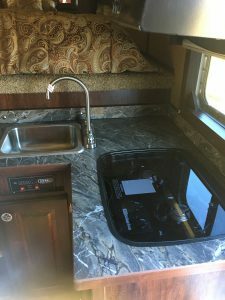 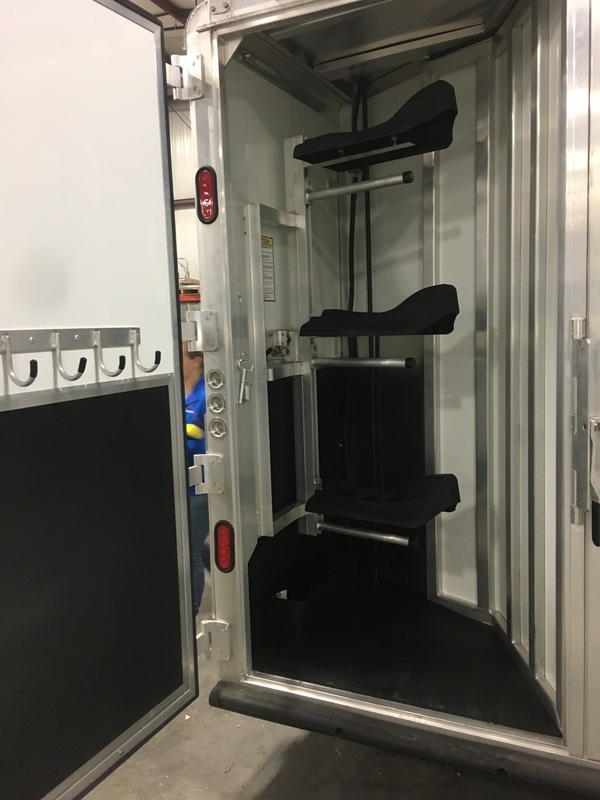 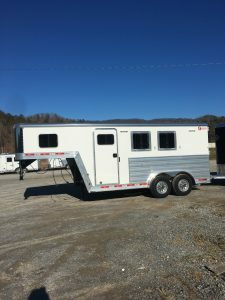 Models equipped with dressing rooms include camper door and screen door, saddle racks, bridle hooks, brush box, and spare tire carrier. 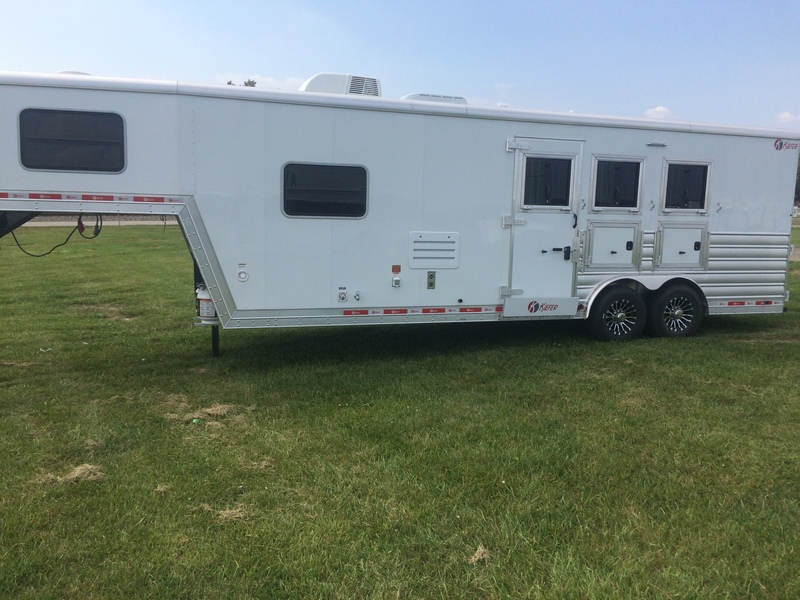 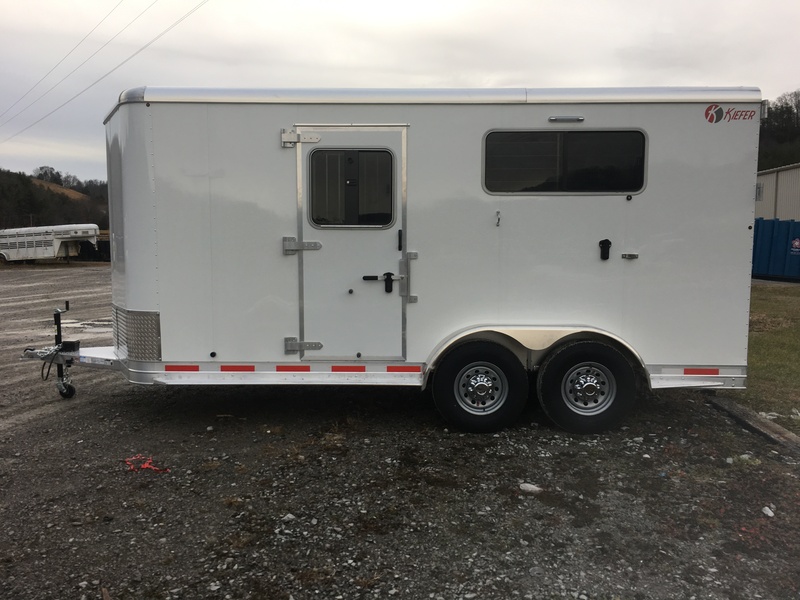 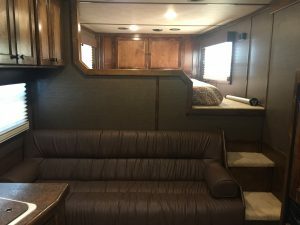 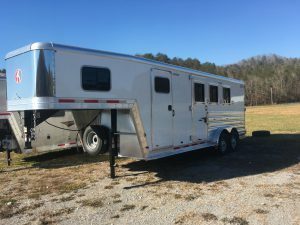 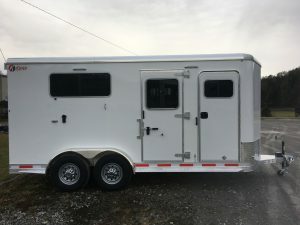 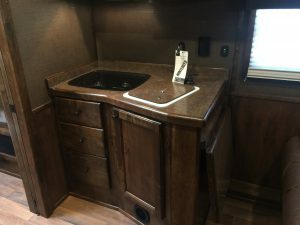 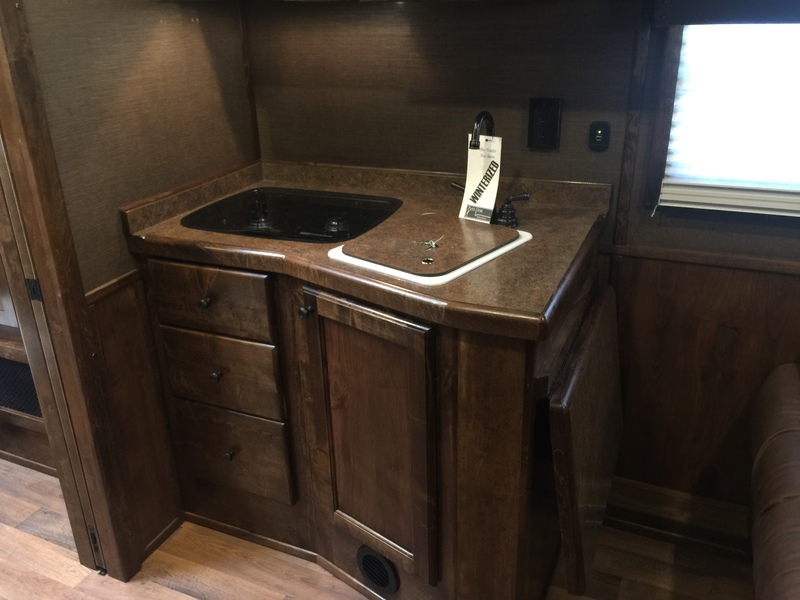 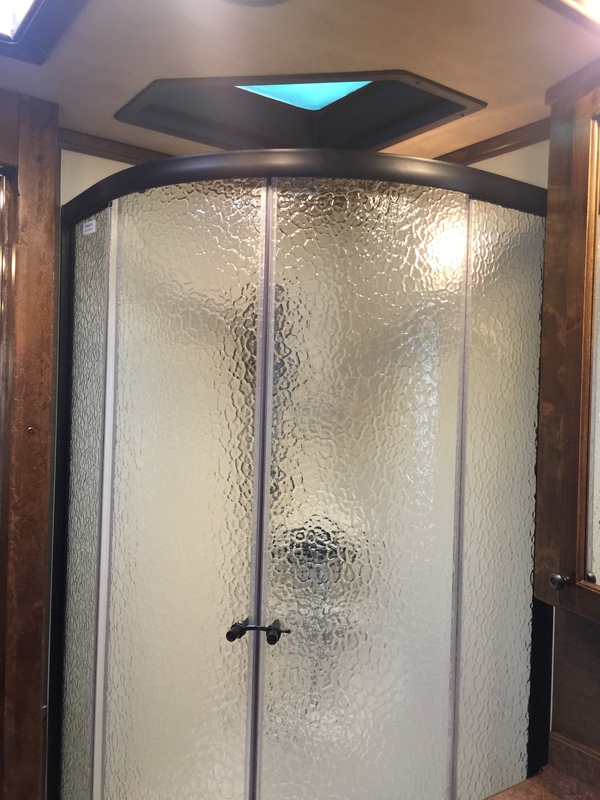 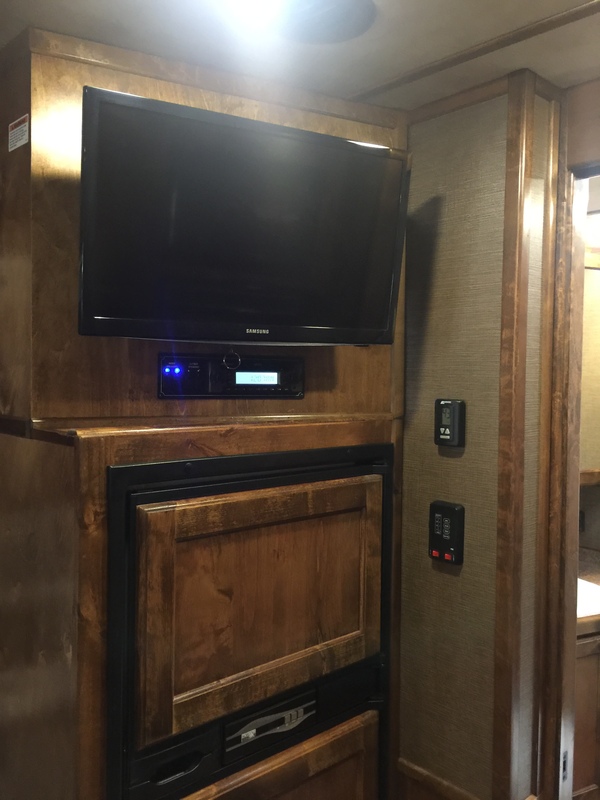 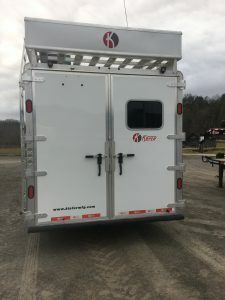 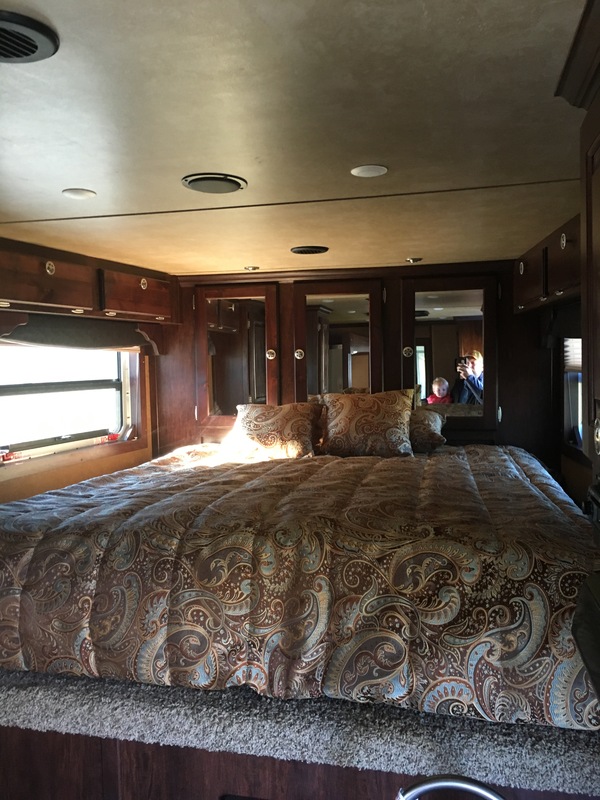 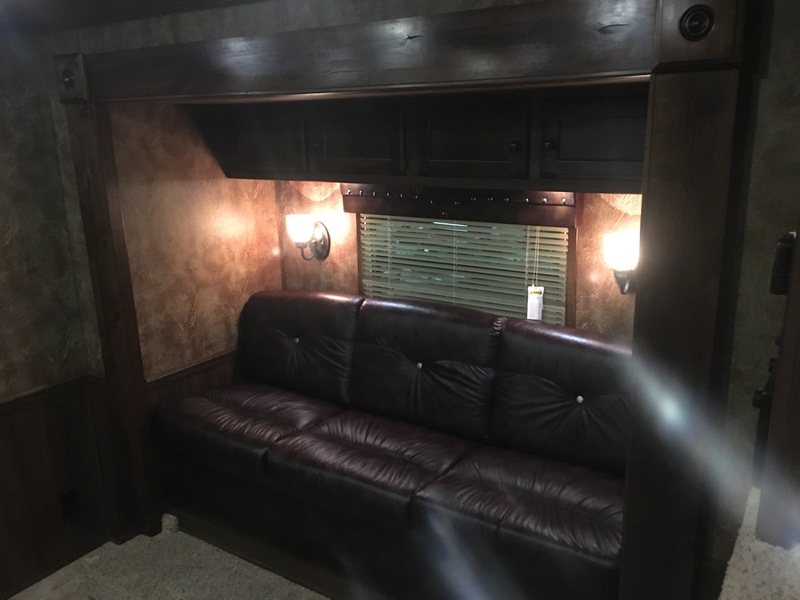 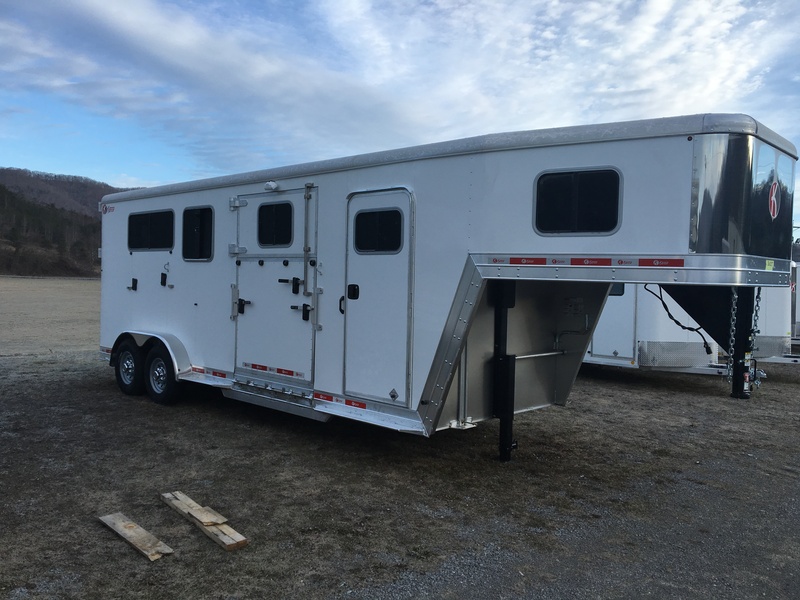 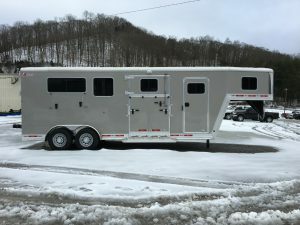 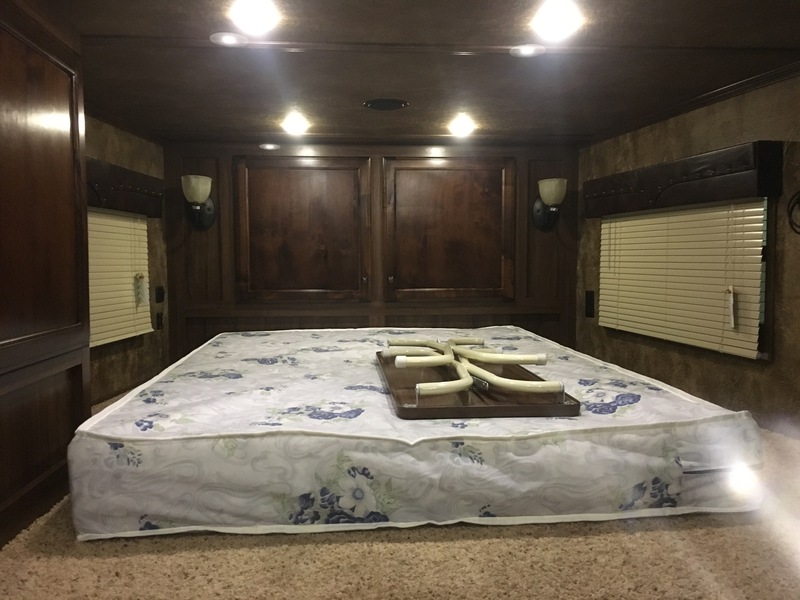 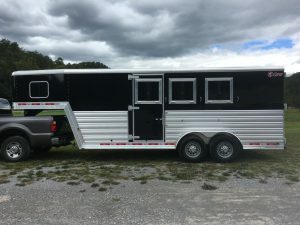 The Kiefer Kruiser is designed as a light weight, exceptionally valued horse trailer that is equipped with drop down feed doors , saddle rack, and dressing room. 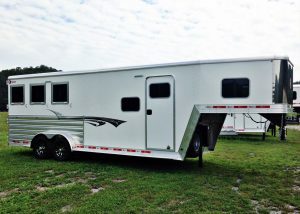 A new or experienced horse owner will fall in love with the features of the Kiefer Kruiser. 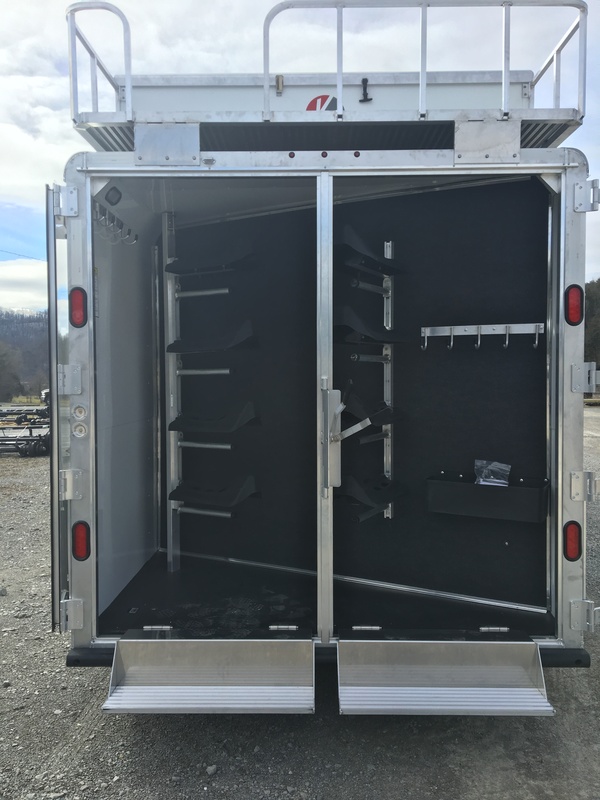 Our Slant Load all-aluminum trailers feature a smooth aluminum exterior, aluminum roof, and aluminum floor. Floors are I-beam cross-member reinforced, extruded plank design. 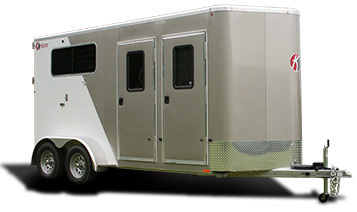 This 2-horse all-aluminum trailers feature a smooth aluminum exterior. 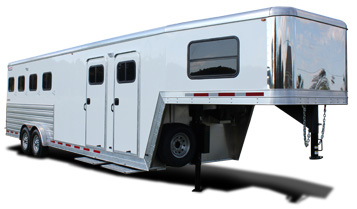 The Kiefer no-leak roof design channels water away from the trailer interior using special aluminum extrusions. The Kiefer Kruiser is designed as a light weight, exceptionally valued, high quality horse trailer that is equipped with saddle rack, and dressing room. 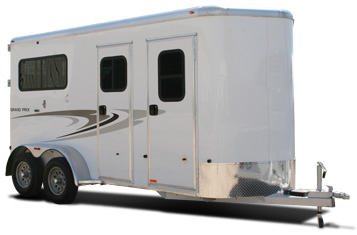 A new or experienced horse owner will fall in love with the features of the Kiefer Kruiser. Our straight load trailers feature a smooth aluminum exterior. 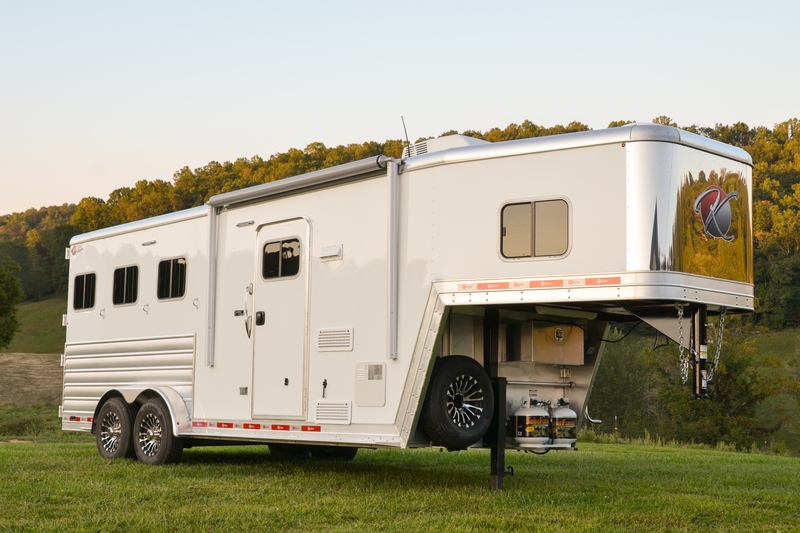 The Kiefer no-leak roof design channels water away from the trailer interior using special aluminum extrusions. 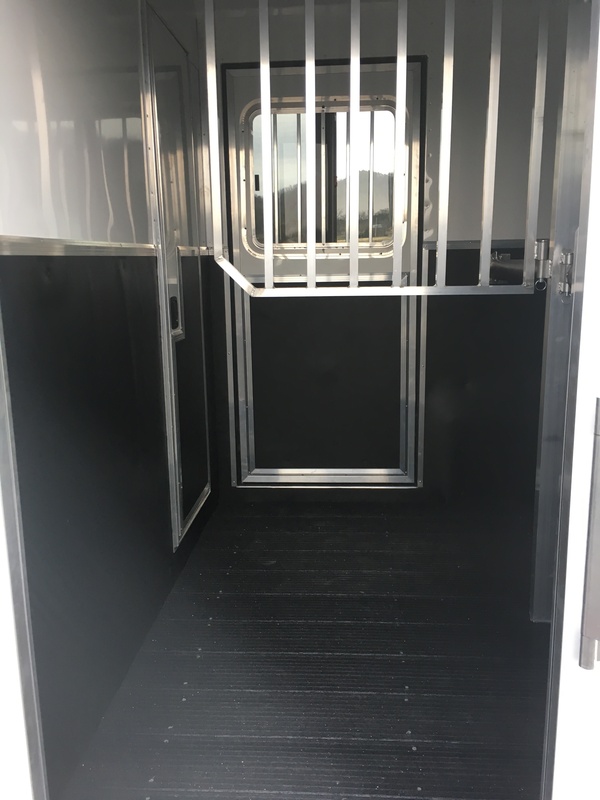 A side ramp entrance allows access to front box stall. Horse area can be converted from 2-horse straight load to box stall or open area. 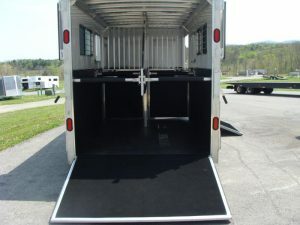 Rear ramp/side ramp loading are included in many packages. 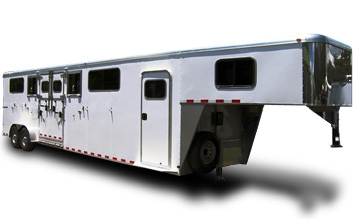 4, 6 or 6+2 head to head models with aluminum skin over steel frame. The rear end features a ramp with tail curtains. 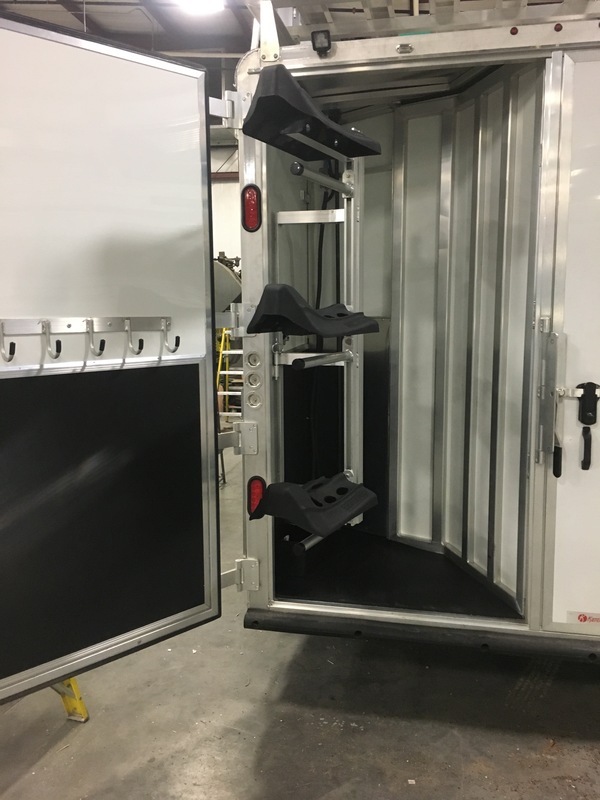 These models offer flexibility of box stall or straight stall loading and transport. 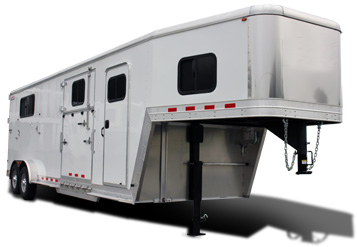 These head-to-head models have been introduced to offer versatile platforms designed to transport 4-8 horses. 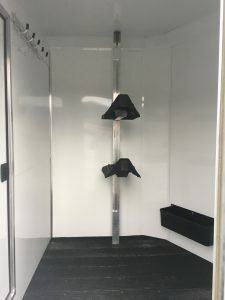 All models are equipped with dressing rooms and include saddle racks, bridle hooks, and a brush box. The Kutter series living quarter horse trailer is a new series built on the tried and true Genesis frame with our patented leak proof roof cove, heavy duty 1.5″ thick lined and insulated walls, 4″ I beams under a .190 extruded aluminum plank floor, thick .050 exterior sheets and backed by a 8 yr limited warranty. 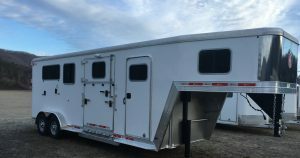 This series comes standard with welded on extrusion in the horse area under heavy duty 100X high air flow windows along with several features distinct to this series. 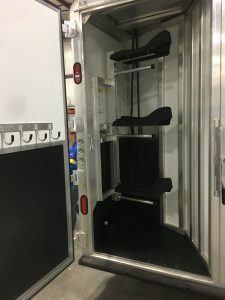 This series is designed specifically for use with a Proline Interior by Outlaw Interiors and is exclusively built as such for a limited group of dealers. 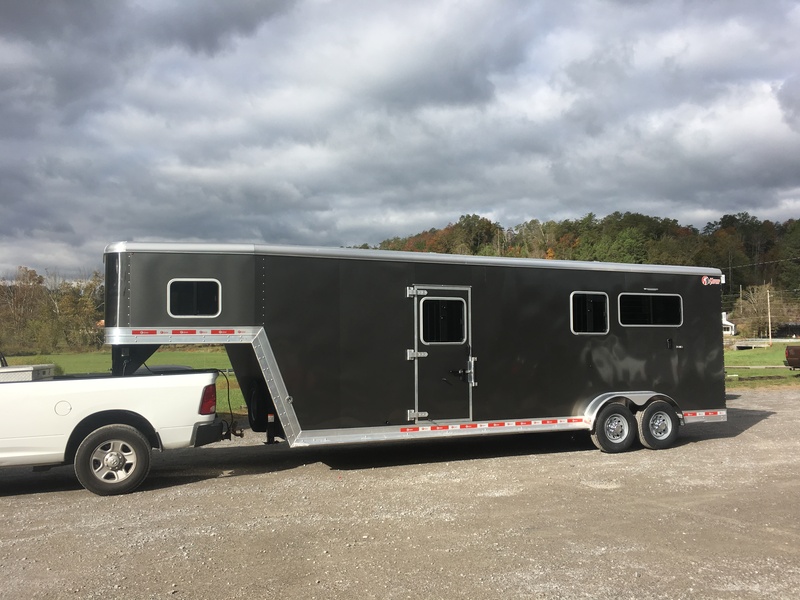 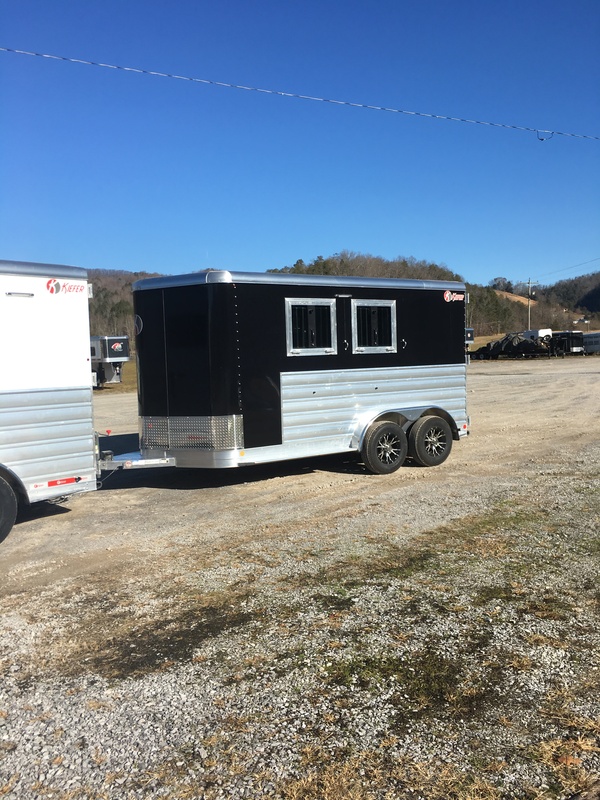 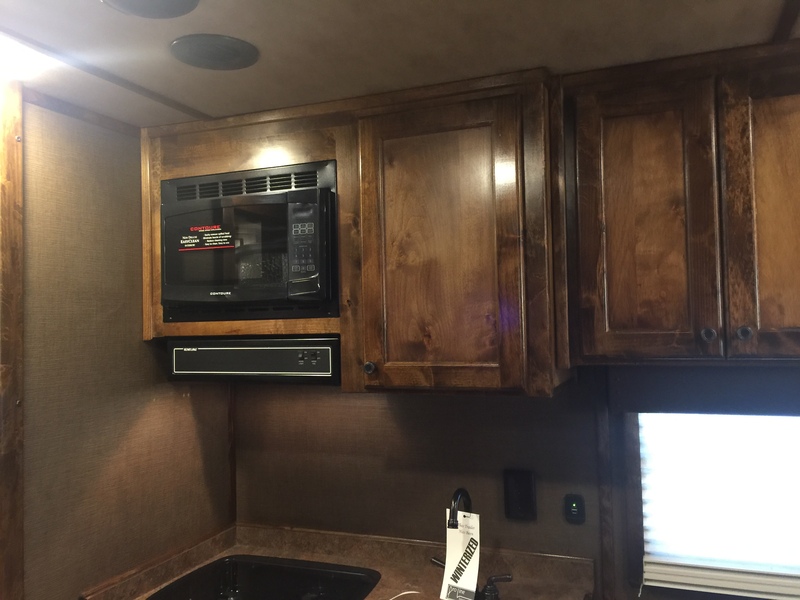 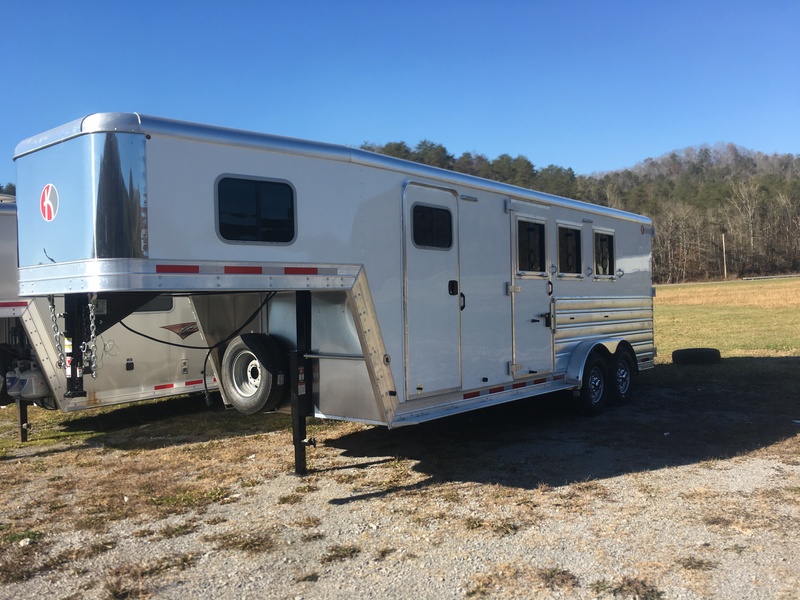 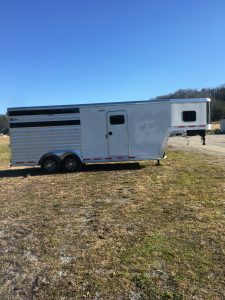 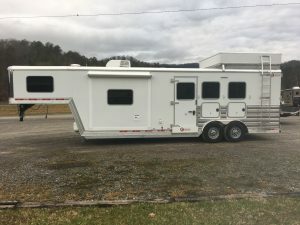 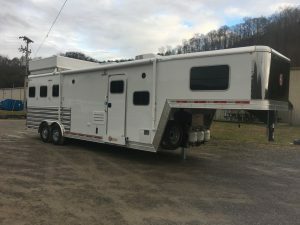 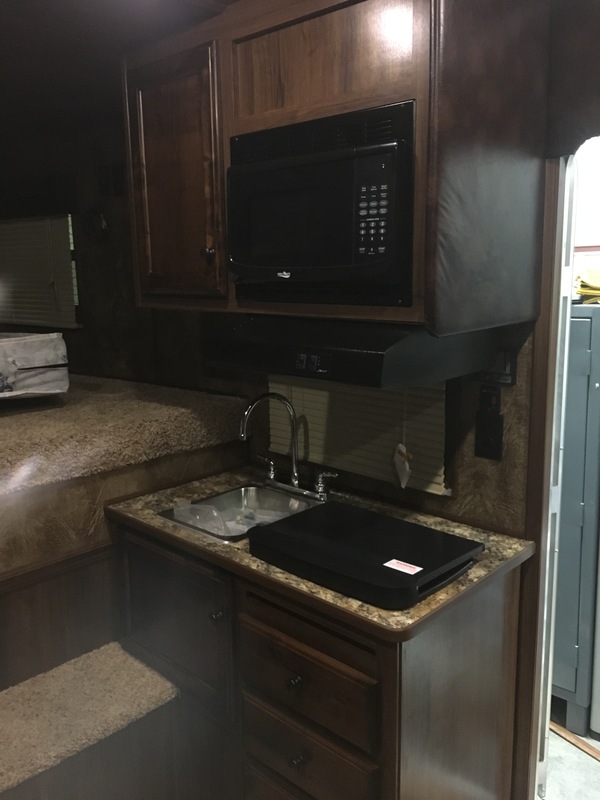 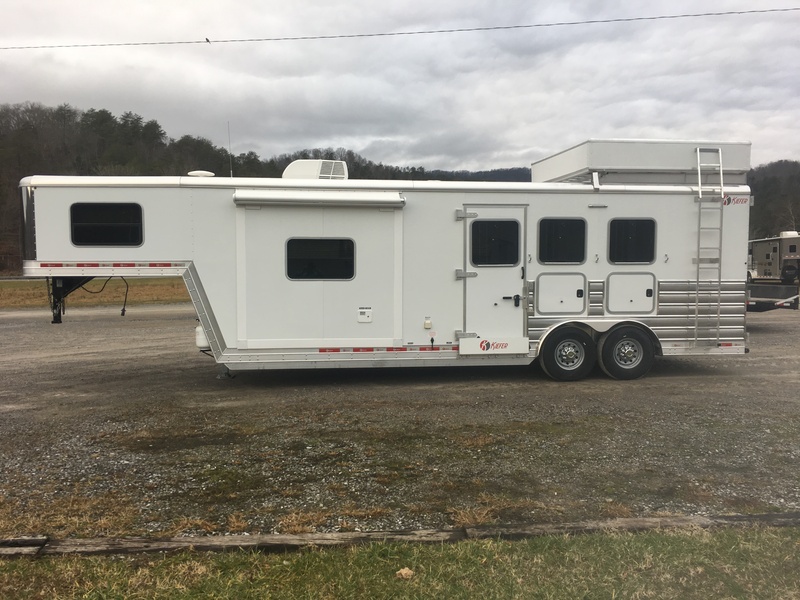 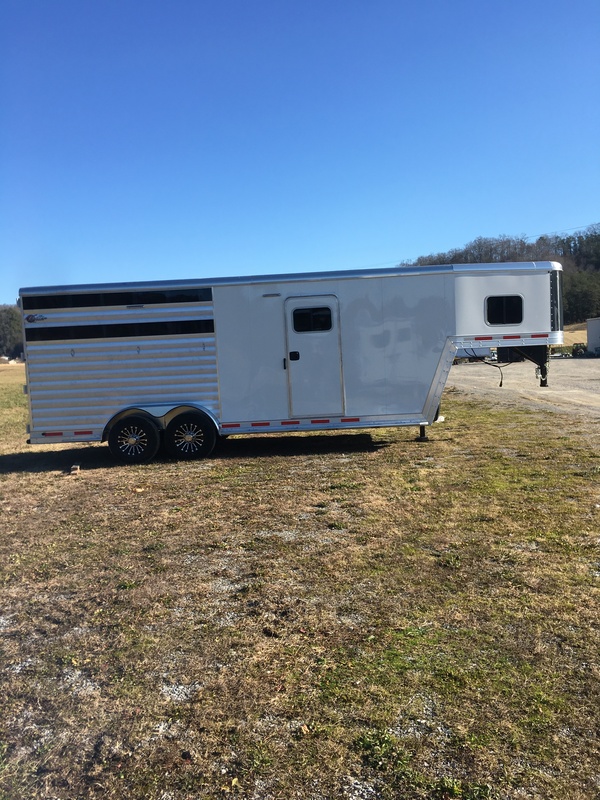 Available in several great floorplans to choose from this trailer is a great living quarter trailer for anyone from the occasional trail rider to the equine professional. 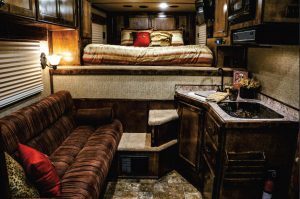 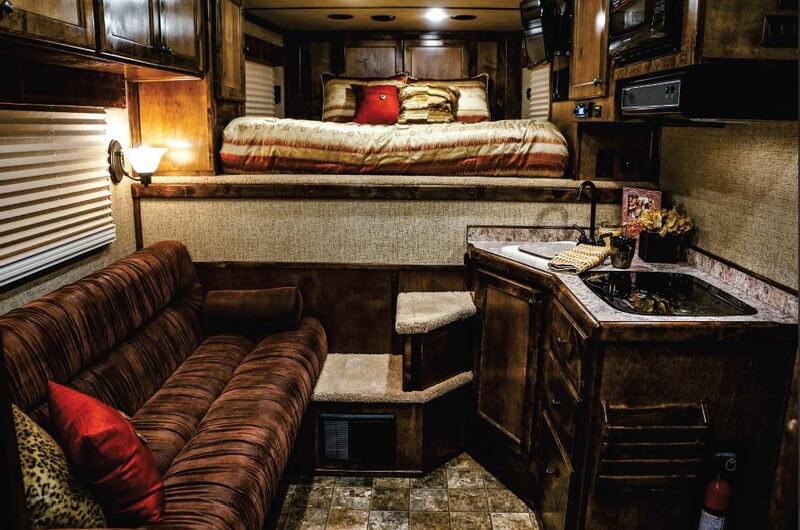 The Kiefer Manufacturing Freedom living quarters trailer is a novel concept in trailer design. 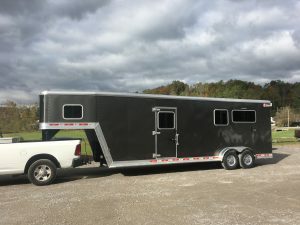 You start with a basic trailer idea, and with the help of our dedicated professionals you design the trailer you need with all the features you want. 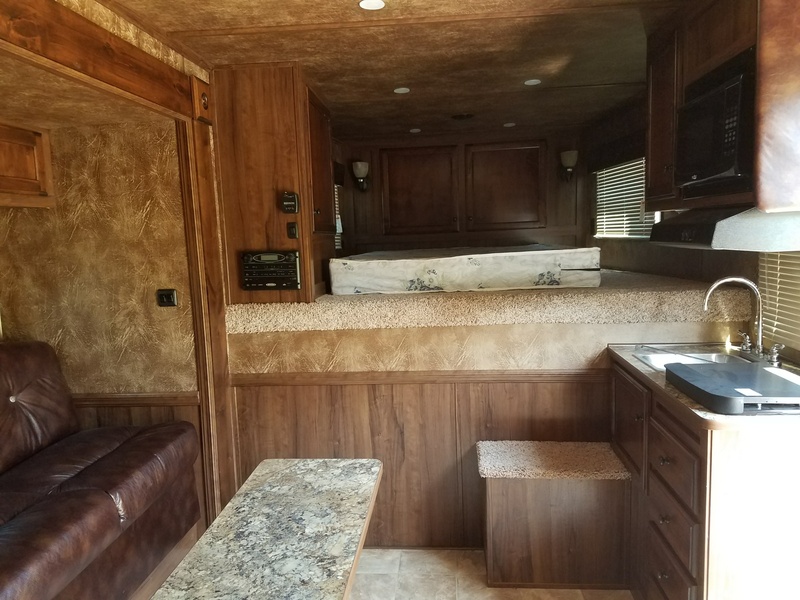 Choose from a wide range of sizes, floor plans and configurations including slide-outs and custom interiors for your perfect blend of luxury and comfort. 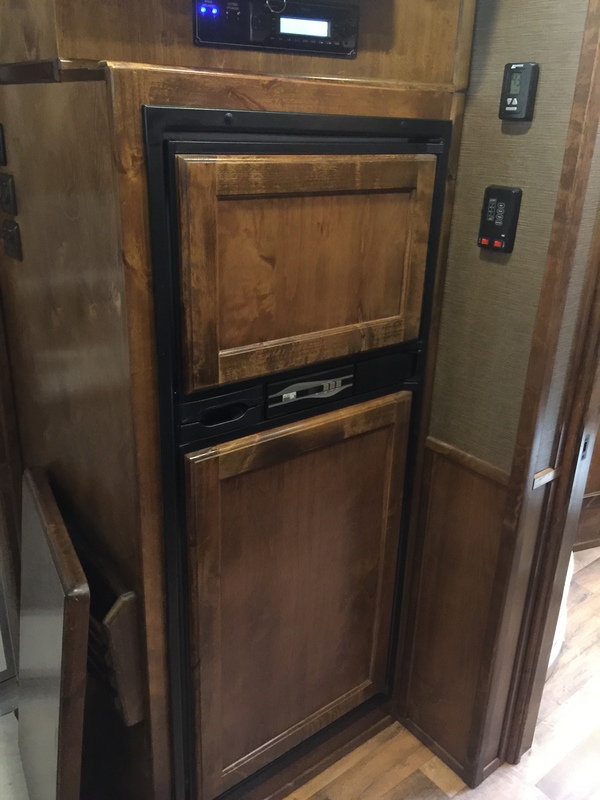 And, because it’s made by Kiefer®, you can rest assured knowing you will be getting the build quality you deserve. 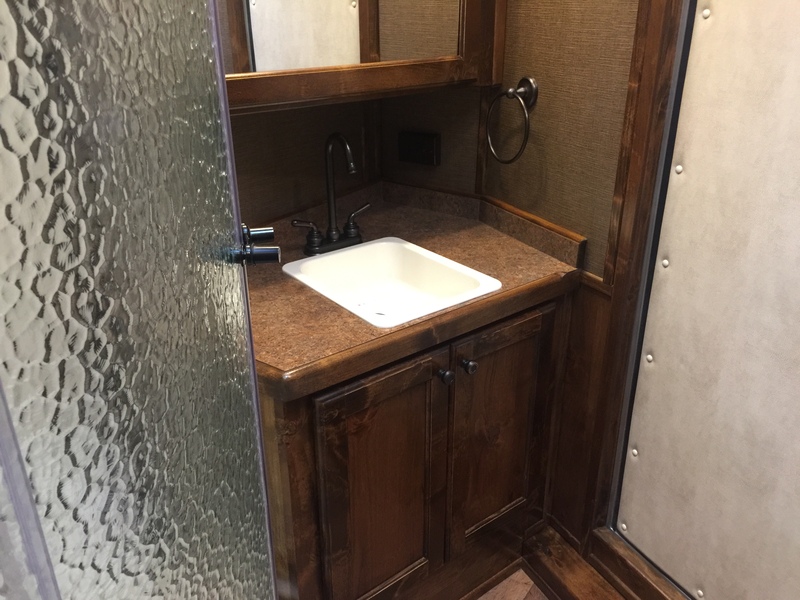 This trailer can be customized in almost any way you can imagine.